When asked about the hardness/softness of soapstone we at Dorado Soapstone sometimes draw an analogy between soapstone and fine leather. 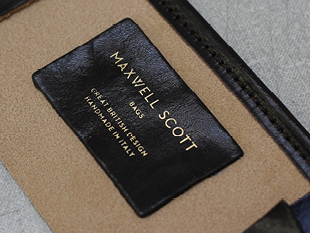 Maxwell Scott Bags provides a range of luxury leather goods for men and women including travel luggage, handbags and briefcases. They are so confident in the integrity of their fine leather products and the improvement in their appearance with age that they offer a 25-year guarantee on them. Twenty-five years! Imagine owning a leather garment, bag, or briefcase for 25 years and having it improve with age. The analogy between leather and soapstone is so perfect. Soapstone beautifully handles the demands of your everyday life, darkening over time just like fine leather, reflecting the life that you share with it as something highly valued rather than something shiny and new. Your soapstone reflects the life you share with it. 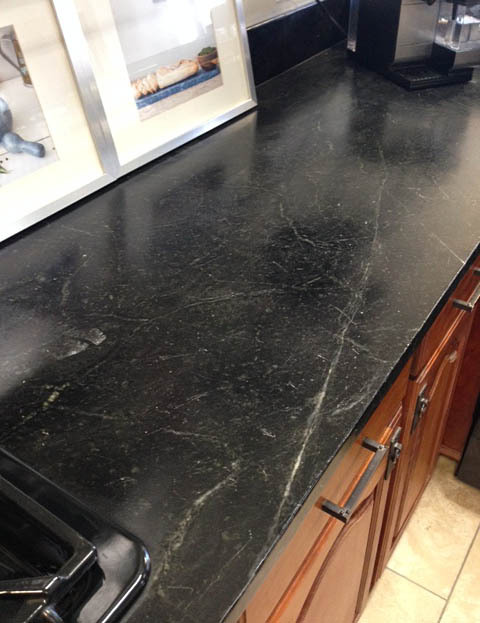 Soapstone surfaces are enhanced by the look of time and use, reminding people of the enduring nature of the stone which allows it to have remained in service long enough to have achieved that look. 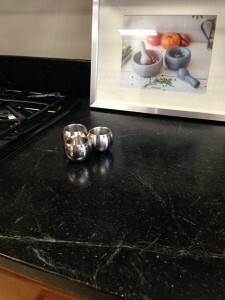 Show Us Your Soapstone And Win Dorado Dry Wax!